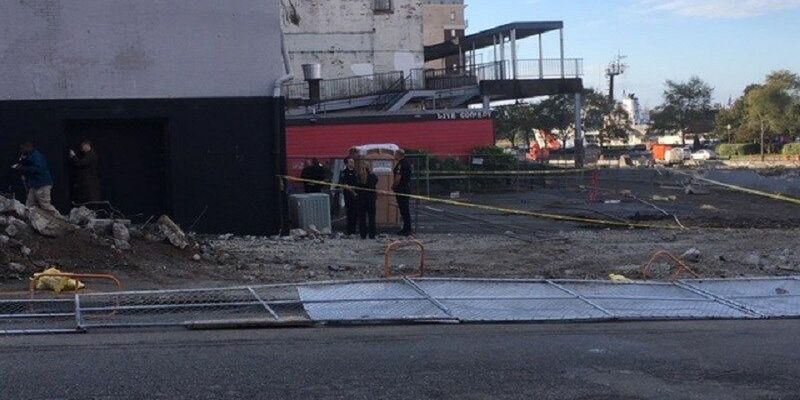 WILMINGTON, NC (WECT) - Police officials said they have a "person of interest" after a Marine from Jacksonville was shot to death in downtown Wilmington early Sunday morning. According to Jennifer Dandron, a spokesperson with the Wilmington Police Department, officers responded to the scene at 200 N. Front Street around 6:15 a.m. and found 27-year-old Edwin Estrada, a corporal in the Marine Corps, dead from apparent gunshot wounds. Officer John Kmetz at the scene said Estrada died from a "possible breaking and entering shooting." However, Kmetz said that information is not confirmed yet. Dandron issued a news release Tuesday morning saying they have a person of interest in the case, but no charges have been filed. Dandron did not release the name of the person. "Once again, we do want to ease any concerns as this was an isolated incident," Dandron explained. According to Captain John Roberts, spokesperson for the Second Marine Aircraft Wing, Estrada was a CH-53 helicopter mechanic assigned to Marine Heavy Helicopter Squadron 464, Marine Aircraft Group 29 in New River. Estrada, originally from Los Angeles, joined the Marines in 2014 and was promoted to corporal in July 2017. His awards include the Good Conduct Medal, Global War on Terrorism Service Medal, and the National Defense Service Medal. Roberts said they are working with the United States Naval Criminal Investigative Service (NCIS) and local law enforcement to determine the facts surrounding the incident. People walking around downtown said they were shocked by the news. "My daughter and I were talking and I said I bet they found a body. To be honest, I did think it was maybe they found something when they were tearing down the garage and found some old bones or something. That was my first reaction, so to find out that it's an actual murder that's disturbing," Helen Coleman said. "Wilmington, for the most part, is a pretty peaceful city and I've traveled around a lot in the united states and when there's a murder downtown that's a serious thing that affects the local nightlife and businesses and we like to feel safe when we're downtown," Joseph Semon said. If anyone has any information about this incident, use Text-a-Tip or call the Wilmington Police Department at 910-343-3609.